A Raspberry Pi is a low cost, credit-card sized computer that plugs into a computer monitor or TV that was origionally established as a tiny and affordable computer for kids. The Raspberry Pi has thousands of different uses, one of which is streaming directly to Ustream. You can use your Pi as a security or nature camera. This could be a good alternative to an IP camera. This will only support video streaming, NOT audio. First, you will want to install NOOBS, which is the Raspberry Pi operating system. You can download NOOBS here. Once you download NOOBS, you will want to copy it to your micro SD card. Once you've done this, insert the micro SD into your Pi. Plug in your keyboard, mouse, monitor, ethernet cord and finally your power cable. Your Pi should boot, and a window will appear with a list of different operating systems you can install. Check the box next to Raspbian and click on Install. This will run through the installation process. Once the installation process has completed, the Pi configuration menu (raspi-config) will load. Now you want to enable the camera module. To do this, select "Enable Camera". In order to use the Raspberry Pi camera module, you must enable it here. Select the option and proceed to Enable. This will make sure at least 128MB of RAM is dedicated to the GPU. You can exit this menu by using Tab on your keyboard to move to Finish. 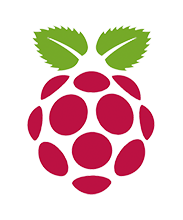 The default login for Raspbian is username pi with the password raspberry.Note you will not see any writing appear when you type the password. This is a security feature in Linux. For more information about how to run commands using the Raspberry Pi, please see the following link here. This means that the operating system recognized the USB WiFi Adapter using one of the built-in drivers (you can return to the terminal by pressing “q”). All that is left is to configure your WiFi connection. You will need to put your own SSID and password in the appropriate places. After you make the changes, press Ctrl O to Save and Ctrl X to exit. If you see a valid IP address under “inet addr” you can now disconnect the network cable- you are connected! First, you will need to install FFmpeg on the Raspberry Pi which will continually stream video data from the camera board to the web. The next command will take a while to run. After inserting the following command, please be patient! You will now need to fetch the RTMP URL and Stream Key from the specific channel you would like to broadcast from. For instructions on how to find your RTMP URL and Stream Key, please see the following article here: How to find RTMP URL and Stream Key. Now replace and with the corresponding values from your own Ustream channel. Do NOT include the brackets at the beginning and end of the RTMP URL and Stream Key. When you want to shut the stream down, type Ctrl +C.